For every home that is bought or sold through Windermere, the Windermere Foundation donates a portion of the proceeds towards supporting low-income and homeless families in our communities. What started in 1989 as a grassroots foundation serving Seattle-area families in need, has grown to encompass eleven states and has raised more than $30 million for programs and organizations that provide shelter, clothing, children’s programs, emergency assistance, and other services to those who need our help most. In total, we have raised over $32 million since the Windermere Foundation was founded. Windermere is the Official Real Estate Company of the Seattle Seahawks, and at the center of this partnership is a new #tacklehomelessness campaign in which the Windermere Foundation will donate $100 for every Seahawks home-game tackle during the 2018 season. On the receiving end of these donations is YouthCare, a Seattle-based non-profit organization that has been providing services and Support to homeless youth for more than 40 years. 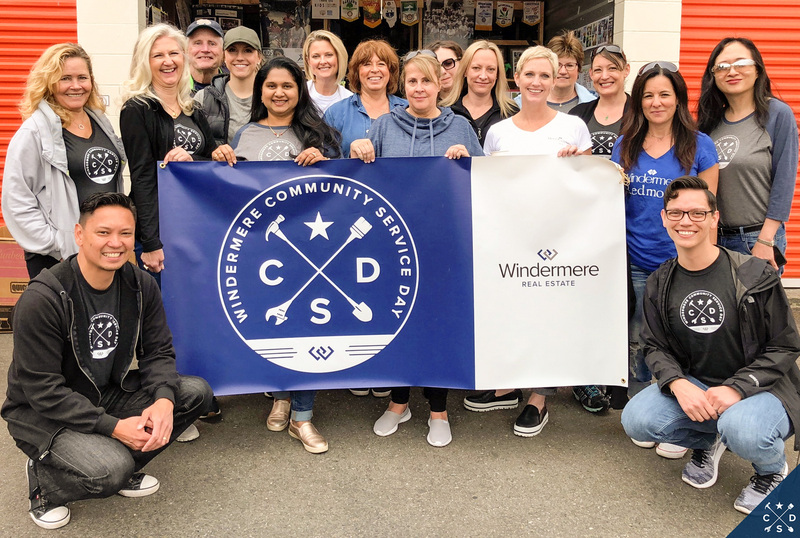 Nearly 300 Windermere Real Estate brokers from six Eastside offices came together on December 1st 2018 for the 18th occasion of “Windermere for Kids” since 1998. This event is a favorite for brokers who year after year choose to support “Windermere for Kids” over having a company holiday party. Together, they helped deliver the holiday spirit to 100 deserving children and their families living on the Eastside. The morning of the event, each of the 100 children invited are given a $200 gift card to Target and partnered with one of our brokers who helps the little shopper select gifts for members of their family. For many of these kids, this is the first time they have experienced the joy of gift giving. Unbeknownst to the little shopper, a gift for them is also purchased. Gifts are then taken into the mall where there are six large wrapping stations, each powered by 15 to 20 brokers. The gifts are wrapped, tagged and packaged for the little shopper to take back to their family. While they wait for the gifts to be wrapped, there are Santa pictures, crafts and food and beverages to keep them busy. We believe that by focusing first on community, we can better understand and meet the needs of those who live within them. One way we do this is by supporting events that enrich the neighborhoods where we live and work. From crew races and concerts, to golf tournaments and fun-runs, Windermere associates understand that it's traditions that bring us together and make our communities stronger.